I have been having some weird feelings regarding my other life when I was a tiger in the jungle. First time was at work and I was working in my department alone. I had my meditation on as a back music and there was some drumming. After a few minutes I started to feel different. I felt the need to stalk around. I wasn’t thinking of my life as a tiger at all during this time. The feeling just came out of nowhere. As soon I was feeling it the life as a tiger came up. I felt the need to hunt. It wasn’t overpowering but just an urge. I wanted to sneak around and pounce on someone. It was a wild and strange feeling. The second and most recent time I was laying in my son’s bed listening to music and drumming once again came on. Drumming must be the trigger. I felt the urge to sink my teeth and claws into something. I then saw that I would love to move through the foliage and be stealth like. When I first had my vision on my other life as a tiger I saw myself come upon a tribe at night drumming around a fire. I was mesmerized by the sound of the drumming and the fire. I liked it. I would come often and watch them at night. My fascination with them grew into a hunger. I eventually killed one of them because I was starving. The perused me the “man eater” as I ran through the jungle. They eventually caught up to me and cornered me killing me with their spears. That being said, is it possible for our impressionable other lives to “seep” into our existing one? Can it in turn alter our behavior as I have described? In reality there is no such thing as time and every life you are living you are living now. So, can another life you are living now actually seep into another? If that is possible the you can potentially tap or access into another life with your intent. In the grander version of things you are a devine being splitting your self up into a multidimensional nature living many different lives as the same time. It is all connected and interwoven. Has anyone else had this experience or can anyone share anything pertaining to this? I can share. If you go to the WordPress Reader and type “timelines” into the search box, you’ll come up with articles written on the subject of the ascension. On a scientific level ,we’re entering the Plaiedian photon belt, giving us access to an entirely new quality of light, which is tipping the scales toward a planetwide rise in spiritual consciousness, sponsoring societal changes leading to a more enlightened age. On a personal level, those like yourself who are leading the way into these expanded levels of awareness are right now going through a process of enhanced self awareness, including the integration of lessons learned in all lifetimes and across all timelines, into the whole soul. Many are the lightworkers and Starseed who are, like you and in various ways, reporting the bleeding of separate timelines into one another as they heal, “collapse,” and unify into the synthesized Beingness which is thus prepared to assist humanity at large through the spiritual, societal and geophysical shifts to come. Wow. That was beautifully explained. Thank you!! I have always felt this to be true with all my lives. This is one of beautiful things about parallel lives and the present time being all there is, that I realized you can Heal any moment, situation and incident from any time and place. That what we call “karma” can be released through forgiveness and love through Now with the power of intention. We don’t have to wait until another incarnation. We can tap into any life/incarnation Now that we have ever had or possibly will. I too have had visions and memories of “past” lives and I have also seen my Self in “future” ones. It wasn’t too long ago when I realized this amazing, what I like to call galactic woman came to me. It all made sense when the realization came to me that this woman was myself. And she/I came “back” to guide me and assist me through a very difficult time in my life. I loved the fact that I could visit all of my selves! And help heal ancestral karma was on top of my list, to help raise the vibration for myself and my two daughters. 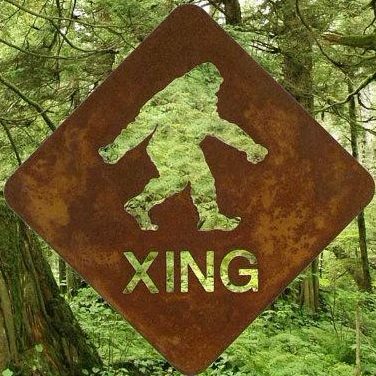 One of my most profound memories was being a female sasquatch, and seeing/feeling what she did towards humans. The other was being a giant. A male warrior from anothe time and space and my first discovery of “the jewel”, planet Earth. Being the giant was a very emotional memory for me. All this is truly amazing, fascinating and beautiful. Thank.you for sharing your stories. Wow! You have some amazing other lives! I too have been able to tap into my other lives. One I have only told a couple people because it is pretty hard to believe but my vision was so vivid that there is no denying who I was. Thank you for sharing sister!